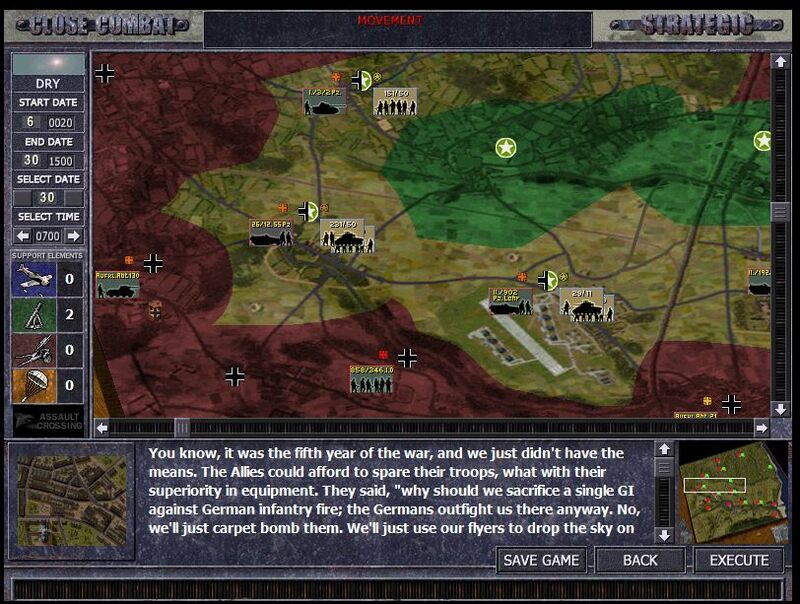 Close Combat Series » Forums » Close Combat Last Stand Arnhem » who has played GJS mod ver 7.3 or ver 8.0? do you like it? Posted: Wed Jun 06, 2018 6:05 am Post subject: who has played GJS mod ver 7.3 or ver 8.0? do you like it? was wondering who has played GameRats GJS mod Ver 7.3 or Ver 8.0 and how do you like it? Mr. Steiner, how have you been mate? Been a while, I haven’t played LSA I still love the ferocity of CCV. I do own LSA however. So are you willing try CCV? Or is it only LSA? I’ll send you private message with my email if you’re interested in gaming! Played about 30 battles in the Grand Campaign. Seems that the AI destroys there own tanks driving over minefields a lot more (at least 10 tanks already) !? I can't remember having that in GJS-CC5 like that. Currently playing GC from 7.3 vetmod , started 3 years ago , remain two days to play, no crashes, all work. nice to hear from a few of you that you have played some GJS /LSA VER 7.3 ...glad your enjoying it. VER 8.0 has a few changes that inhance the game play IMO. RD Cobalth...try playing the GC against a human opponent....WAY better game play bro not sure about the mine issu but when Cathartes modded GJS over to LSA there was a bunch of issues that needed to be cleaned up...we did the best we could. Salhexe....glad you have hung in there with playing the GC....were you playing an opponent or AI? Always play vs Ai, currently start the last day of Gc. Where did you get Ver 8? Schmal Turm..... Ver. 8 is in another thread in this room. but there is NOW also a new Ver. 9 out in another thread in this room, that has a few improvements and it also has a plugin ver that can be down loaded for mod swap so we can play LSA / GJS in Game Ranger. the mod swap for GR is currently being tested by us to make sure it works...we will post real soon to confirm that it works.